COPENHAGEN, 17 MAY 2000. In the 13th minute of extra time in the UEFA Cup final between Arsenal and Galatasaray, Thierry Henry has just shot narrowly shot wide. In attempting to stop him, Bülent Korkmaz has fallen awkwardly, the landing dislocating his shoulder. With Gheorghe Hagi sent off and all three substitutes used, the Turks face the prospect of playing the remaining 17 minutes with nine men. The battered captain leads his troops with one arm strapped to his body, and amongst a series of blocks and challenges, helps gets Galatasaray through to penalties. This selflessness is priceless as his side go on to make history, becoming the first and thus far only Turkish club to win a European trophy following their 4-1 shootout triumph. It comes as no surprise that this man is known as Cengaver – ‘Warrior’ – to his adoring fans. Born in the ancient city of Malatya in the south-east of the country, Bülent joined Galatasaray in 1979 as an 11-year-old goalkeeper. It quickly became apparent to the youth coaches, though, that he was in the wrong position, and they moved him into the role of defensive midfielder before dropping him back into defence. In 1984 he excelled at a youth tournament, with interest fielded from fellow competitors Bayer Leverkusen. This approach was turned down as Bülent opted to stay with Galatasaray, something he would do for the next 21 years. After playing in the reserves, he debuted in a Turkish Federation Cup win over Kayserispor in February 1987. A no-nonsense centre-half, Bülent was uncompromising in the challenge and direct in his approach to opposing players. The man himself modestly refutes bizarre claims by some that his style echoed the more elegant Paolo Maldini. 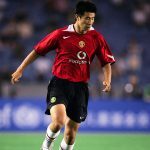 He would frequently hurl himself into tackles with ferocity, resulting in many cuts and bloodied shirts, but due to his exceptional timing only received 67 yellow and five red cards across 18 seasons. Having featured heavily in Galatasaray’s 1988/89 European Cup adventure, including the semi-final second leg with Steaua Bucharest, he became a more prominent fixture in the team the following season, and in 1990/91 truly cemented himself as a starter. That season ended with a first major trophy, the Turkish Cup, as Ankaragücü were defeated 3-1 in extra-time in the final. Qualification for Euro 92, however, was a washout, with all six qualification games ending in defeats, including a 5-0 humiliation to the Republic of Ireland on his debut in 1990. Bülent recovered from this setback to win the double with Galatasaray in 1992/93, going on to feature in the following season’s infamous ‘Welcome to Hell’ tie against Manchester United. 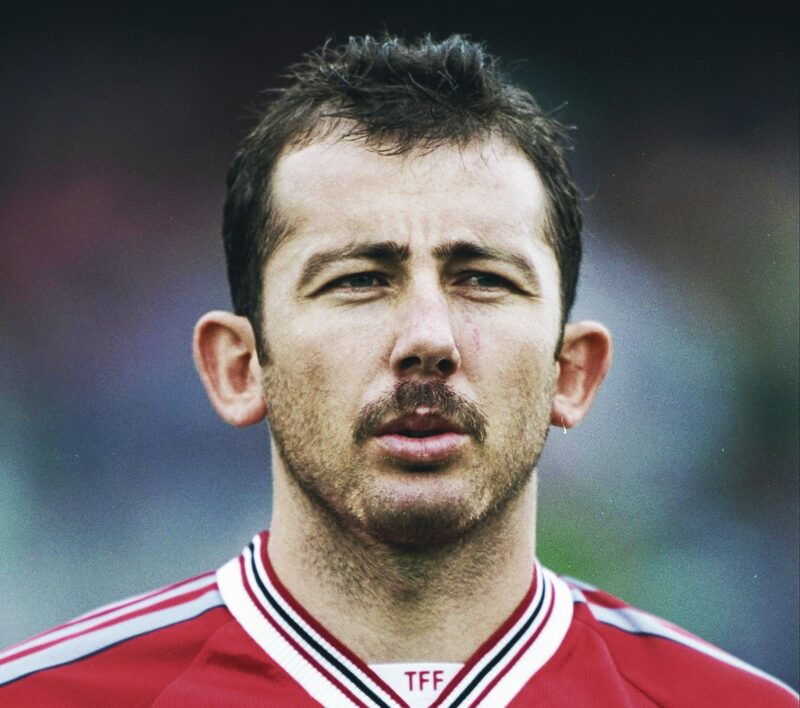 Bülent was appointed club captain in 1995 as he led the side to triumph in the Turkish Cup, which concluded with Graeme Souness’ infamous planting of the red and amber flag at the Şükrü Saracoğlu after victory over Fenerbahçe. During this time his defensive partner was none other than his brother, Mert, who himself went on to record 134 appearances over seven seasons prior to leaving for Kocaelispor. The appointment of Turkey boss Fatih Terim as manager after Euro 96, another international disaster in which the country failed to even score, proved to be a masterstroke. Romanian maverick Gheorghe Hagi was signed too, becoming the catalyst for an impressive five league titles in six seasons. Bülent served as Terim’s right-hand man on the pitch in a solid defence that featured the likes of Hakan Ünsal, Fatih Aykel and Gheorghe Popescu, Hagi’s brother-in-law. The crowning glory of Terim’s side came in the 1999/2000 season, arguably the most successful in the club’s history, with the league and cup secured alongside the aforementioned UEFA Cup. The first and only victory in European competition by a Turkish club began with a group stage Champions League exit. Wins over Bologna, Borussia Dortmund, Mallorca and Leeds – the latter in tragic circumstances – then led to the final against Arsenal in Denmark. In victory, a wounded Bülent was moderate. “We are the greatest, we totally deserved this,” he announced to the press. Euro 2000 yet again yielded little reward, though, with another group stage exit as Bülent’s shoulder kept him out, and at club level, disappointment ensued as Terim departed for Fiorentina. New boss Mircea Lucescu continued the success, slaying Real Madrid in the UEFA Super Cup, although they blew the league with five games left thanks to consecutive losses to Fenerbahçe and Ankaragücü. Despite his advancing years, it seemed that unlike many defenders Bülent’s career was becoming more successful. Whilst his legs were going and he began to lack pace, his masterful display of man marking on Michael Owen in a Champions League match with Liverpool in 2002 showcased his wonderful tactical nous. Around this time, Galatasaray embarked on a run of 25 consecutive home league wins, a Turkish record, between May 2001 and November 2002. During this run his career ascended to new heights, with Bülent’s final league title shortly followed by a trip to the World Cup. He went to Korea and Japan as a stalwart of a Turkey side making their first appearance since 1954, although little was expected. Bülent scored in the group stage victory over China, with Turkey unbelievably going all the way to the semi-finals, narrowly losing to Brazil in a game mainly remembered for Rivaldo’s shameless dive. The silver lining was a 3-2 victory over co-hosts South Korea in the third place playoff. In the following year’s Confederations Cup, Turkey exacted some form of revenge, knocking Brazil out of the group with a 2-2 draw in the final match, in which Bülent made a clearance off the line to deny Adriano. Qualification for Euro 2004 slipped through his fingers after a 0-0 draw with England in Istanbul, during which Bülent came to blows with David Beckham and allegedly punched Steven Gerrard in the tunnel. A runners-up finish meant playoff qualification, but a 3-2 humbling at the hands of Latvia ended hopes of a third Euros in a row. The following campaign was to be his last, with Bülent forced out by new signings Stjepan Tomas and Rigobert Song and mainly benched, ironically by the newly-appointed Hagi. With another close title race, competing against Fenerbahçe and Trabzonspor, there was to be no case for sentimentality. His 613th and final appearance was no more than a five-minute cameo against Ankaragücü, and he wasn’t even included in the squad for the final day match with Denizlispor. 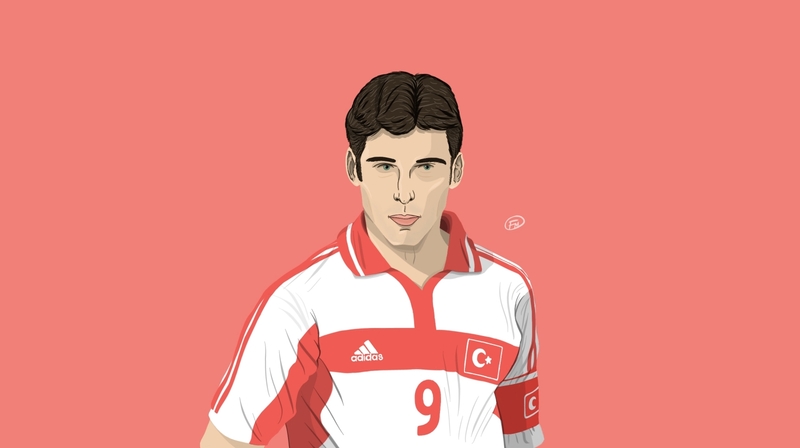 Unusually for modern footballers, especially outfield ones, Bülent remained an active international player right through to his retirement at the age of 36, with a special farewell match played against Bulgaria following his departure from Galatasaray. He put this longevity down to training hard and being mature enough to balance his professional and private life, unlike that of national teammate Sergen Yalçın, who once claimed the reason Bülent had to train was that he would be incompetent otherwise. He returned to Galatasaray as manager in March 2009, although was unable to save a doomed season where his beloved club finished fifth. After just three months in the job he resigned, although one notable result was coming from 3-1 down to knock Bordeaux out in the UEFA Cup round of 32. Bülent’s decision to move right back Sabri Sarıoğlu up for a corner proved vital, with his former teammate scoring the winner. Several other spells have been enjoyed at Bursaspor, Gençlerbirliği and most recently, in 2016, Mersin, but in direct contrast to his playing career, he has become a nomadic coach. To this day he remains Turkey’s third-most capped player, being honoured with a special medal by UEFA prior to a 2011 match against Germany. He certainly got used to collecting those during his time in Istanbul, winning 29 trophies and becoming a club icon up there alongside Hagi and Metin Oktay. A fearsome man who led by supreme example, he shunned multiple opportunities to move abroad to provide over a quarter of a century of service.